You will be surprised to know that the bathroom is the room in which people make more design mistakes than any other in the house. It can be incredibly difficult to get the right mix of functional and attractive. It doesn’t matter whether your bathroom is big or small, it should always be extensively thought out before you attempt any kind of redecorating or remodelling. As a company who specialises in designing bathroom suites in Glasgow, we have witnessed a lot of design mistakes that have been committed in bathrooms. Using our specialist knowledge, we have put together a list of some of the most common mistakes in bathrooms and what you can do to avoid these. No one likes a bathroom that is dark, dingy and unwelcoming. If the room is uninviting, you won’t want to spend any more time in there than necessary. If it is possible to do so, try adding a window or two to your bathroom. You don’t want to be in clear view of everyone outside, but you do want natural light to be able to get in. It will give your room some fresh air, and make it seem a lot larger. If this isn’t possible, then install an operable skylight – you will get the same natural light effect. A lot of people make the mistake of having their toilet be the first thing that is seen when walking into the bathroom. If you have a big enough bathroom, we suggest putting the toilet out of the sight line of anyone who may be looking into the bathroom. For those of us with smaller bathrooms, you can try and distract from the toilet with eye-catching colours and bright coloured accessories. 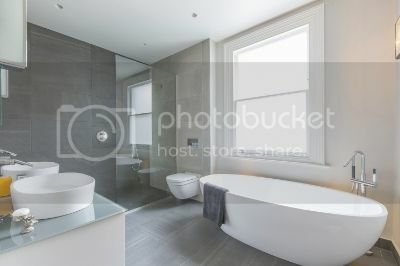 Some people prefer to have their toilet in a completely different room, so that it can be used whilst someone else is using the shower or bath. If possible, this is a very good idea. We have seen far too many bathrooms that have little to no storage. This can leave the bathroom looking messy, and make it seem a lot smaller too. It’s easy for our collection of toiletries to start taking over all the space visible, which is why it’s a good idea to invest in some stylish storage space. A mirrored cabinet with space inside is a perfect way to hide away your shampoo and conditioner, or keep your toothpaste and toothbrushes out of view. 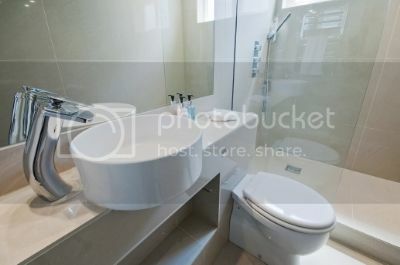 As you can see, the design of your bathroom is very important. Here at Osprey Bathrooms, we can help provide you with a modern and stylish bathroom. So, if you are in need of any help with your bathroom, or you’re interested in a new bathroom suite, we can help you out. Please do not hesitate to contact us on 0800 007 5344 and a member of our staff will be happy to help.